The stout paperbark tree can grow upwards of 10 metres but is not uncommon to be found as a smaller shrub. 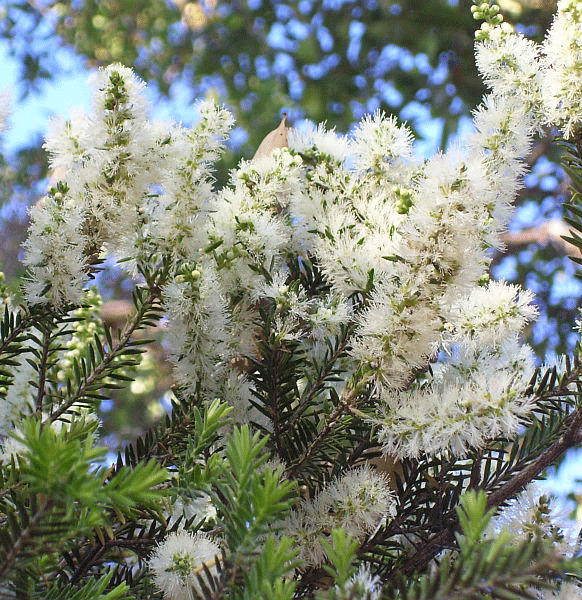 Wet areas of the south west of Australia is where this Myrtle tree thrives. The normally white flowers are gathered like spikes at the ends of the branches, which makes it suitable for an ornamental screening shrub.